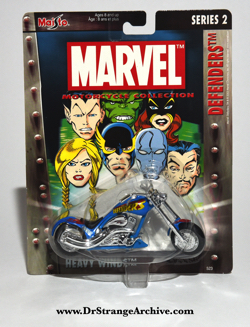 Description: This is a blue Heavy Winds motorcycle toy with Defenders written on the side of the gas tank. The card has a picture with the heads of seven Defenders to include Dr. Strange. 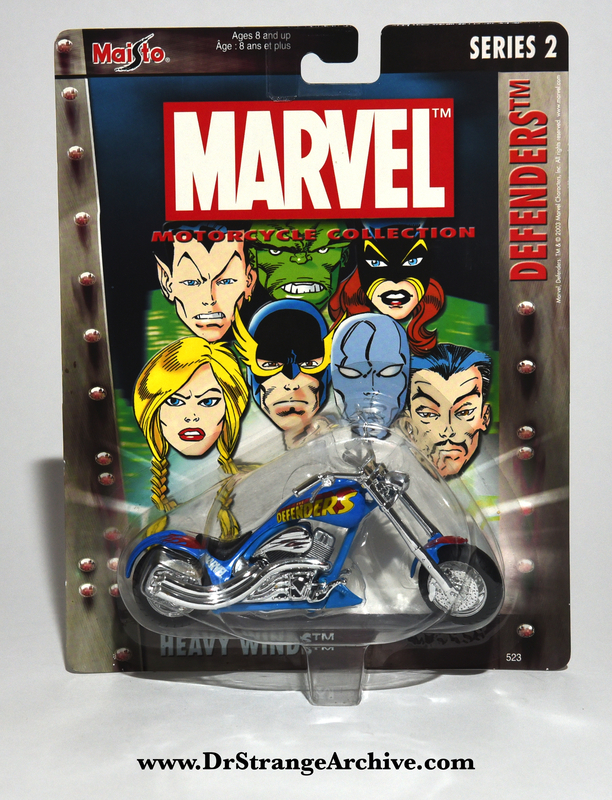 This motorcycle belongs to Series 2 of the Marvel Motorcycle Collection along with fourteen other motorcycles. #35087 is printed below the bar code on the back of the card.